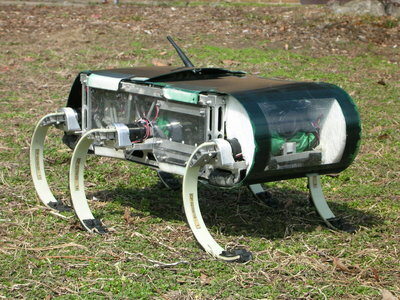 RHex Project: A biologically inspired running robot designed for robust operation in complex, natural, outdoor terrain. Subprojects include EduBot, SandBot, and DesertRHex. The latest version, XRHex, continues to be active in the lab. Also see current robots, RHex . RiSE V2 platform, performing an untethered climb of a multistory building. 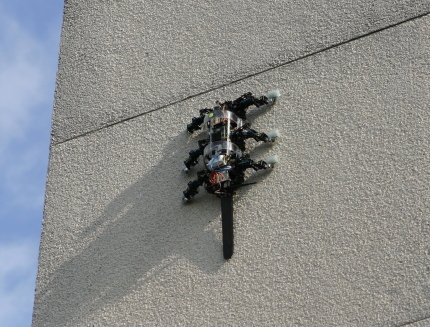 A biologically inspired robot designed for vertical climbing in addition to horizontal locomotion. Subprojects include RiSE V1, RiSE V2, RiSE V3 and DynoClimber.